A limited edition press pin, it was commissioned by Chase and produced by Balfour. Only 300 pins were made. 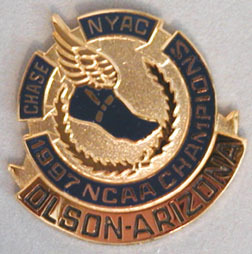 They were given out at a dinner at the New York Athletic Club, celebrating Arizona's national championship in 1997. A great gift idea for the Arizona Alum and any press pin collector.